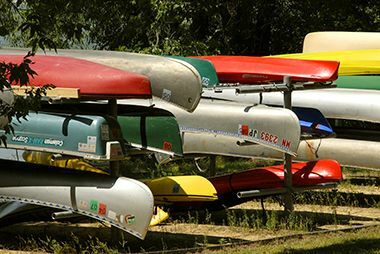 Apply for a permit to store your canoe or kayak on one of several Minneapolis lakes or on the Mississippi River. We rent 510 storage racks annually. In accordance with the requirements of Title II of the Americans with Disabilities Act (ADA) of 1990, the MPRB does not discriminate against qualified individuals with disabilities on the basis of disability in its services, programs, or activities. If assistance is needed to complete registration, please contact us at 612-230-6400. Guarantee your same rack as 2018 by Renewing. Deadline to register is February 28, 2019 at 4 pm. By switching, you’re able to get a rack within your same rack site or change to a different site. Availability is not guaranteed; however, you will be guaranteed a rack. Deadline to register is February 28, 2019 at 4 pm. If you did not hold a canoe rack in 2017, you may enroll for the Canoe Rack Drawing that takes place on March 14, 2019. Deadline to register is February 28, 2019 at 4 pm. Renew Rack through the same process as previous years to guarantee your same rack number. This will assure your same rack on the same lake you were on in 2018. Your watercraft must be off the rack by April 30. 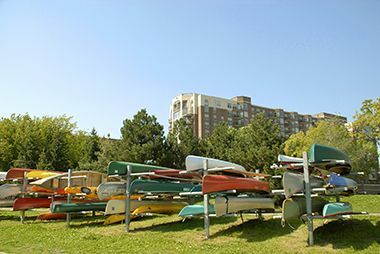 The window for new rack holders to place their watercrafts on their new racks is April 15-30. New renters will now enroll online by selecting the Enroll Now button. Enrolling will enter you in a live in-person drawing. Priority will be given to Minneapolis residents who register by February 28, 2019. The drawing for residents will be March 14, 2019. The drawing will be held at the Minneapolis Park and Recreation Board’s Headquarters Offices located at 2117 West River Rd N. Minneapolis, MN 55411, and will begin at 6 pm. You DO NOT need to be present at the drawing to receive a rack if your name is chosen. If additional racks remain after the drawing is complete, non-residents that register before the February 28, 2018 deadline will be drawn on March 15, 2019 and contacted if their name is chosen. Any applicant who does not receive a rack will be refunded in full by March 30, 2019. You may move your watercraft to your new rack between the timeframe of April 15 through April 30. You may lock it to a tree or to the side of a rack on the ground if your rack is not yet open, but it must be on its assigned new rack by May 1, 2019. If you store your watercraft on a Minneapolis lake, please be sure to review our AIS information to help us prevent the spread of AIS. 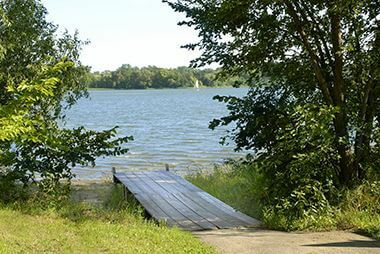 View a map [PDF] of canoe and boat launch locations. View a map [PDF] of canoe rack locations.